One essential item that’s sure to be on everybody’s summer camp packing list is a flashlight. Throughout the many posts on this Blog, I’ve written a lot concerning flashlights: we had National Flashlight Day, I talked about the history of the flashlight, and, of course, I wrote about the awesome Flashlights that we carry here at Everything Summer Camp. We may already offer a handful of awesome Flashlights through our online shop, but, even so, we just couldn’t help ourselves when we saw this one. Super cool—and super small—the miniMongo Flashlight is certain to become a summer camp hit this approaching camp season. It’s true what they say—big things really do come in small packages. Small enough to fit inside your pocket, the miniMongo is COMpact! But don’t let its small size fool you. This thing ain’t no joke! It’ll blast 160 Lumens of light over 150 yards without breaking a sweat. Shine this little light into the night to brighten it like you never have before! A perfect flashlight for summer camp, the miniMongo is ready for anything that the summer camp lifestyle might throw its way. It’s durable and water-resistant so you can use it in the rain without any concern of it getting damaged. You’re sure to love the many faces of this Flashlight; available in a handful of different styles, you can pick your favorite Flashlight style from Black, Silver, Pink, or cool Camo. Also great for telling ghost stories around the campfire and entertaining friends with shadow puppets, the miniMongo is definitely the Flashlight for you during your camp stay. 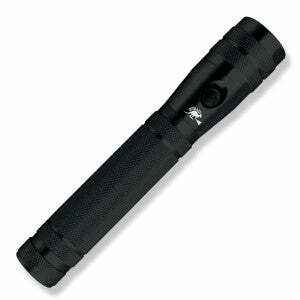 Batteries included, check this awesome Flashlight out for yourself by clicking right here. Have fun fulfilling your summer camp’s packing list and, as always, thanks for reading, Camp Fans!